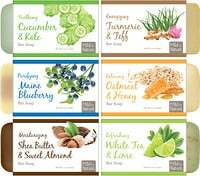 Formulated specifically for new moms to support optimal wellness after birth. Postnatal Omega-3 is specifically formulated to address the unique needs of new moms, offering EPA and vitamin D3 to support a positive mood and optimal wellness after childbirth. This formula also includes 456 mg DHA to support maternal cognition and continued neurological development in nursing infants. 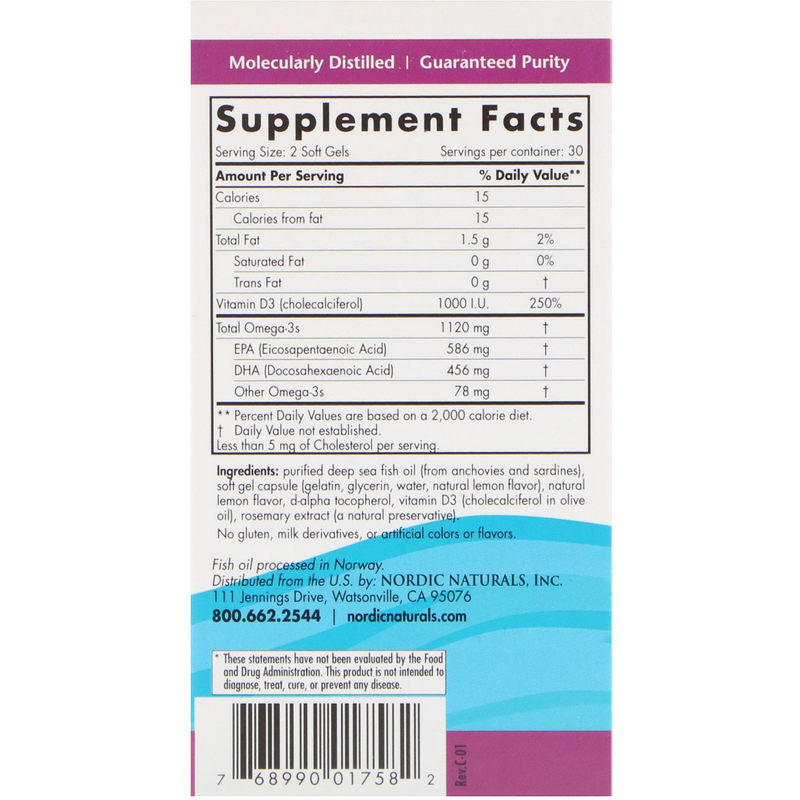 Highly concentrated, 90+% triglyceride-form fish oil allows for maximum potency and absorption in easy-to-swallow soft gels. 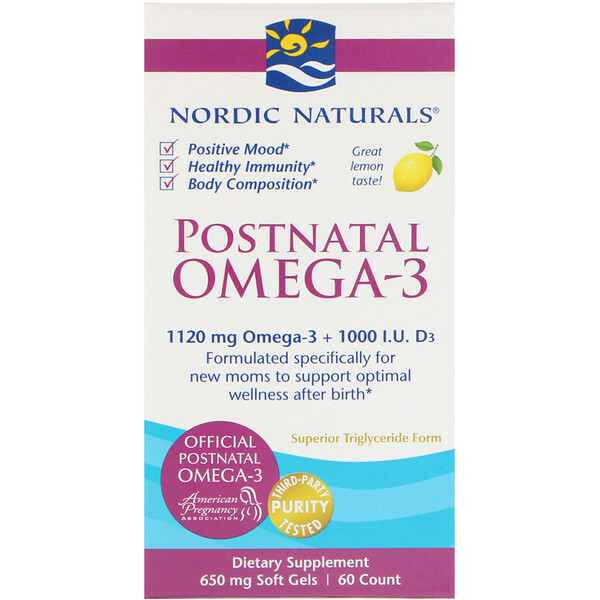 Replenishing your omega-3 essential fatty acids is an important step in maintaining good health after the birth of your child. It is especially important for mothers who have experienced, or are planning for, multiple pregnancies, or who are nursing. 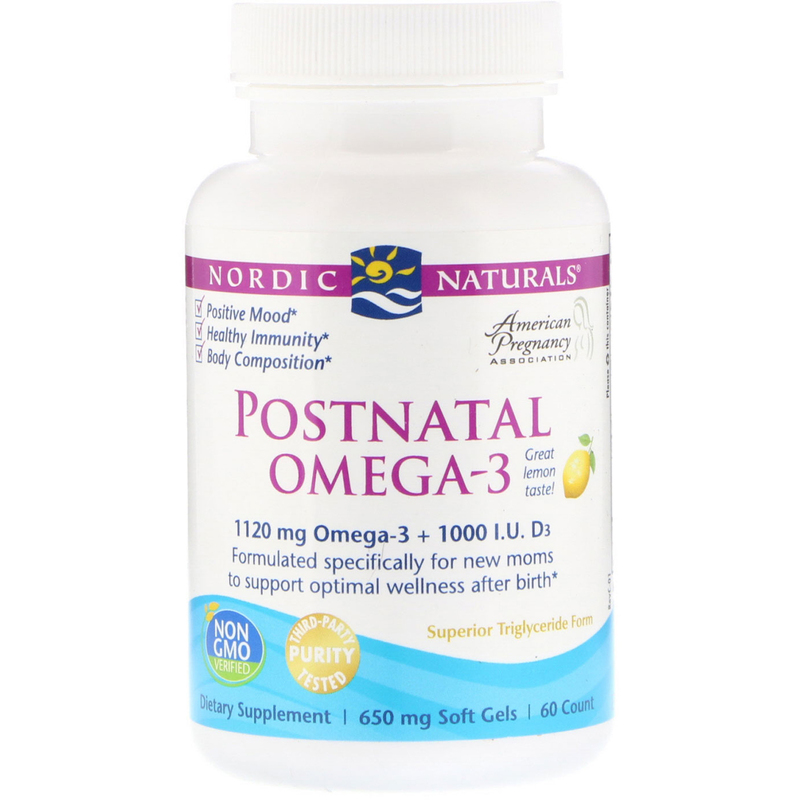 Omega-3 DHA is a major structural component of the brain and nervous system, supporting a mother's memory and cognition, and her infant's development. DHA levels in mothers' breast milk can decline by up to half in the first month of her child's life. Supplementing with DHA can help support higher levels of DHA during breast-feeding. Two softgels daily, with food, or as directed by your health care professional or pharmacist.